GREATER STITCHWORT seeds (stellaria holostea) from Wildflowers UK. Wildflowers UK, bringing the British Countryside to you. Bringing the British Countryside to you. 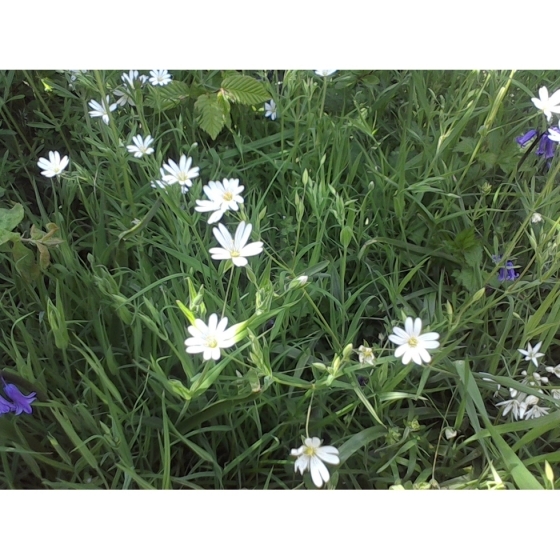 Sowing rate 1 gm sq m.
Greater Stitchwort -stellaria holostea–is a beautiful spring wildflower that looks best grown in the shade of a woodland setting or under a hedgerow. In gardens it makes excellent ground cover, where it can be used under fences, hedges, or within grass covered banks. Plants have extremely attractive foliage and masses of snow white flowers that appear from April to June attracting bees. Greater Stitchwort look stunning when grown alongside Red Campion and English Bluebells both of which have similar flowering times. Greater Stitchwort seeds should be sown in autumn or spring, either outside, where they are to flower, or in seed trays and covered lightly with compost. Greater Stitchwort seeds are usually easy to germinate and the seedlings, which are quick to develop, can be pricked out and grown on, for planting out later in the year. To discover more plants for Bees, simply enter the word "pollinators" into the search box above. 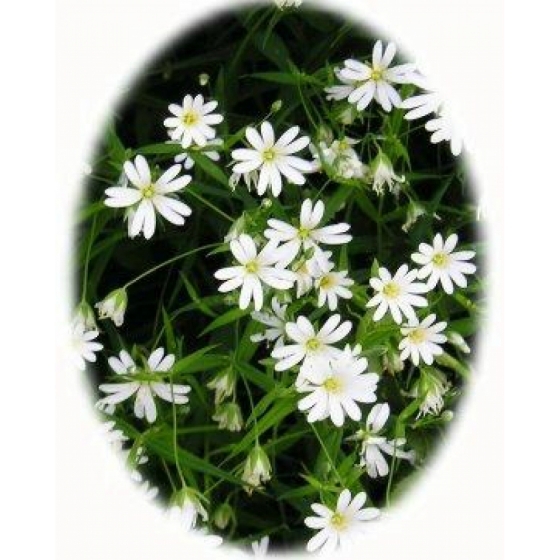 To purchase Greater Stitchwort seeds please select a quantity above and click add to cart. To ensure the best chance of success, we sell all of our wildflower seeds by weight, which ensures each wildflower seed packet contains a good quantity of seeds. The recommended sowing rate is 1 gram per square metre, and the number of Greater Stitchwort seeds per gram is approx. 500. All of our Wildflower seed packets contain seeds of Native British provenance.